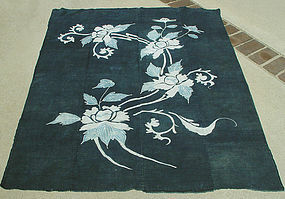 Thick antique cotton futon fabric, Aizome Japanese indigo dye and the design is drawn in Tsutsugaki paste regist. Color Loss. 49" wide x 61" long.